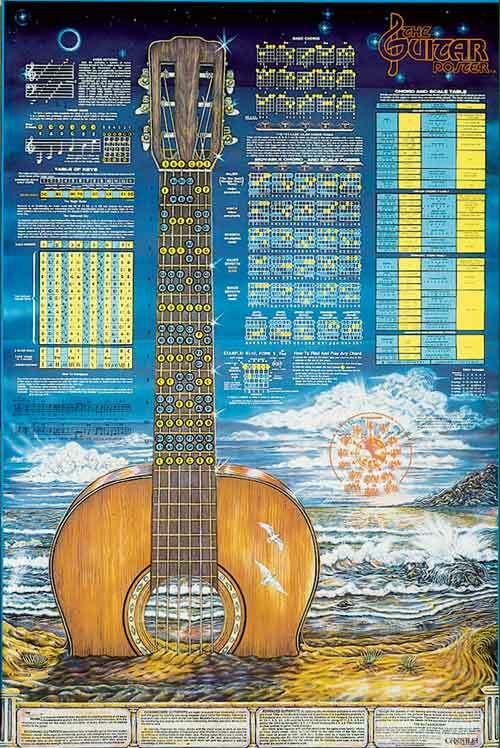 The original Guitar Poster has answered guitar players' questions since it was first published in 1980, and it is still the most complete guide to the guitar ever made! It contains a wealth of information for all guitar players, no matter what styles they play or their levels of musical accomplishment. * MOVABLE CHORD & SCALE FORMS * CHORD & SCALE TABLE * TABLE OF KEYS * NOTES OF THE NECK * BASIC CHORDS * OPEN TUNINGS * CIRCLE OF FIFTHS * GREAT STAFF * MORE!! Put The Answers On Your Wall!